The holidays are right around the corner, and you’re probably focused on getting through those with your sanity intact, but it’s not too early to start thinking about how you’re going to design your patio in the spring. It may seem like a long way off, but warmer weather will be here before you know it. Besides, thinking about spring and the plans you have for your patio will help fight off the winter blues. With night creeping in early and the days having a chill, it’s not hard to get a little sad this time of year. But you can move beyond that by thinking about warmer weather and landscaping ideas. Some things to consider include if your patio needs repairs. Constant use will wear and tear even the sturdiest of materials, so take a look at the area and notice if anything is broken, cracked, or just needs to be touched up. If so, make a plan to take care of that first thing when the weather gets warmer. The same will need to occur with your patio furniture. Notice if anything needs to be repaired or if it still expresses your style and tastes. Make a plan to get repairs done if they are needed or find a new set that better reflects your current décor wants and needs. Will your patio project requires a lot of work? Maybe you want to change your entire patio area or you don’t have a patio and you want to add one. These are big projects, and they take time to plan. Start figuring out now what you want to do with the space and talk to a professional about how long it will take to get the work done. You may need to schedule construction time now so that it can be started ASAP once winter is over. Are you going to have plants on your patio? These make a great addition to any space and make it feel inviting and comfortable. Decide now what plants will look good where and then do some research on how they need to be taken care of. You’ll want to get plants that thrive well in your environment and will add beauty and style to your space. It may be winter, but it’s not too early to start planning how your patio will look in the spring. It could be a good way to distract yourself from the short days and cold weather. 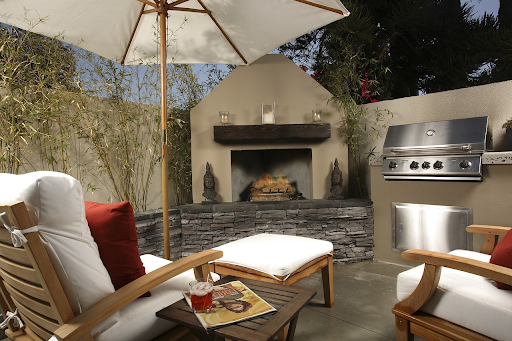 Visit a patio store to get inspired and talk to a professional about your spring patio plans.